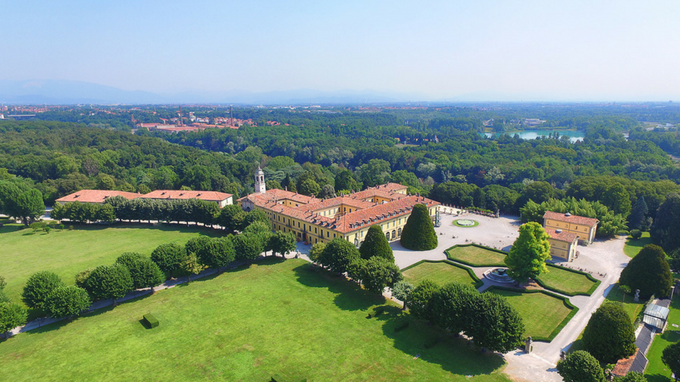 In the province of Milan, along the Martesana canal and the river Adda, there is this lovely estate surrounded by a big park where it is still possible to see deer and fallow deer roaming freely. This property for sale dates back to the 12th century, when Cistercian monks settled in this area. Around the 18th century this villa reached its peak when some state halls were added and two new buildings used as museum and theatre respectively were built. This estate for sale is currently suitable as a venue for exclusive events and important ceremonies thanks to its perfect mix of history and innovation. This estate measures 8,000 m2 overall and has several airy rooms. The villa is also home to a consecrated 18th-century church, cloisters, horse stables, riding court, and two Empire-style twin buildings with a small theatre and thermal area. This villa is surrounded by a 9-hectare park giving this estate a timeless charming atmosphere, and home to a wonderful swimming pool. The Cathedral is the emblem of the city with its stunning Gothic architecture, it is a massive and articulated building, with tall pinnacles in gold plated copper. Close to it there is the church of Sant'Ambrogio, on of Italy's most ancient examples of the Lombard Romanesque style. This wonderful luxury villa for sale is in the province of Como and has a breathtaking view over the town of Erba, the province of Milan and Lakes Pusiano and Alserio.